In a recent New York Times article, the authors give a great summation into the truth and uncertainty in breast cancer screening. With such an emotional and destabilizing life event as breast cancer, women want clear and concise information. This article and the JAMA article it is based on takes a courageous stand to say: It’s not clear and certainly not concise. I’ll break down each statistic in that quote. Be prepared, this is scary stuff. The background is that a study of 1,000 women was undertaken. These women were followed for 10 years and had a screening mammogram each year. First off, of those 1,000 women, it’s estimated that only 0 to 3 avoided a breast cancer death. In other words, depending on how optimistic or pessimistic you are, a mammogram saved three lives out of 1,000 or did not save any. Second statistic: Of the 1,000 women studied, the mammogram inaccurately diagnosed a cancer that wasn’t there 490 to 670 times. 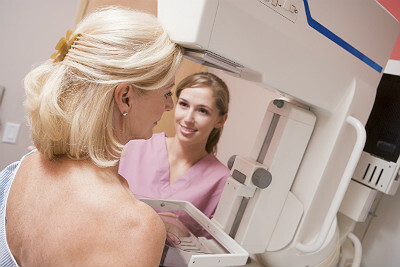 Basically, 50 percent of the time, the mammogram misdiagnosed breast cancer. And finally, when women were misdiagnosed 50 percent of the time, that led to 3 to 14 women needlessly receiving treatment. That means that 3 to 14 women out of 1,000 lost their hair or vomited for weeks at a time from chemotherapy or burned their skin from radiation for absolutely no reason. It’s easy to want to point fingers as to why we are so far behind in understanding breast cancer. Whose fault is it? Feel free to pick someone to blame, but it won’t help us get closer to an answer. New studies requiring millions and millions of dollars spent over many years is the only way to better understand breast cancer and the best method of breast cancer screening. But as the article astutely points out, millions of dollars to fund a current study pales in comparison to the billions of dollars being misspent on breast cancer screening that appears to be woefully inadequate. Do these statistics surprise you as much as they surprise me?